Born: 28 January 1870, Long Sutton, Lincolnshire, England. Died: 3 November 1916, Cape Town, South Africa. Henry H.W. Pearson was educated privately and for some time was apprenticed to a chemist. After passing the matriculation examination of the University of London in 1889 he became an assistant teacher at Eastbourne, where his interest in botany was awakened when he attended a course of lectures on plant life by Professor A.C. Seward*. Pearson entered the University of Cambridge on a scholarship in October 1893, obtained a first class pass in both parts of the natural science tripos (1896-1897), and was elected a scholar of Christ's College (June 1897). That same year he visited Ceylon for six months as a Wort's travelling scholar of the university and made a thorough study of the vegetation of its high altitude grassy plains. This work, published as "The botany of the Ceylon Patanas" in the Journal of the Linnean Society (Botany) (1899), earned him the Walshingham Medal in 1899. Meanwhile he had continued his studies in botany at Gonville and Caius College, Cambridge, in 1898 and was awarded the degree Master of Arts (MA). Upon his return to Cambridge in 1898 he also became assistant curator of the University's herbarium and published his first paper, on the anatomy of the seedling of the Australian Cycad Bowenia spectabilis (1898). The next year he was appointed assistant for India at the Royal Botanic Gardens, Kew. From 1901 to 1903 he worked there as assistant in the director's office. During these early years of his career he concentrated mainly on systematic botany and in 1901 wrote "The Verbenaceae of South Africa" for the Flora Capensis (Vol. 5.1). He married Ethel Pratt in 1902. Later in 1902 Pearson was appointed as the first Harry Bolus* professor of botany at the South African College, Cape Town, taking up his position in April 1903. His inaugural address, delivered in May 1904, was on "The sugar cane". There had been no chair of botany at the college since 1889 and his first tasks were therefore to start classes and plan accommodation for his department in a new science block, which was opened in 1905. In February 1905 he proposed that the government should be asked to establish a school of forestry connected to the South African College. This proposal led to the foundation of the South African School of Forestry in 1906, where he lectured in forest botany. He was an inspiring teacher who regularly turned out advanced students in botany, but also a keen researcher who established a reputation as a plant morphologist, mainly through his important work on the genera Welwitschia and Gnetum. His first expedition to Damaraland (in Namibia) in January 1904 to study Welwitschia in its natural habitat and obtain material for study had to be cut short owing to the war between the Hereros and the German colonial forces. Nonetheless he was able to throw considerable light on the development and germination of the spores of the plant, and its relation to Gnetum, in a paper read at the joint meeting of the British and South African Associations for the Advancement of Science in 1905. A more successful expedition for the same purpose followed in 1906-1907, this time in the company of E.E. Galpin*. Among others he visited Windhoek and Okahandja, where he stayed with M.K. Dinter* for a few days. Pearson's research on Welwitschia led to several papers on the morphology, embryology and ecology of these plants and earned him the degree Doctor of Science (ScD) from the University of Cambridge in 1907. His studies of the endosperm of Welwitschia led to his interest in the genus Gnetum. With financial support from the Percy Sladen Trust he undertook two extended botanical expeditions to the arid western parts of South West Africa (now Namibia) and Angola from November 1908 to June 1909, and from November 1909 to January 1910. One of his objects was to collect material of Gnetum africanum in Angola, which he did during March to June 1909. The first part of this journey was made in the company of his friend Professor J.C. Beattie*, who was doing field work for his magnetic survey of South Africa. The second journey took him mainly to the Kamiesberg and the Richtersveld. After several years of study Pearson finally showed that the endosperm in Gnetum forms in exactly the same way as in Welwitschia (Annals of the Bolus Herbarium, 1915; Transactions of the Royal Society of South Africa, 1917-1918). The collections he made during these expeditions proved most valuable and contained many new species, while he also made important notes on the distribution of plants. The plants obtained during the 1908-1909 expedition were described in the Annals of the South African Museum by Pearson (1911, 1912 and 1913) and others. He gave special attention to the desert flora of South West Africa, and its relationship to the flora of neighbouring regions. Another of his special interests was the Cycads, particularly the phenomena connected with their pollination. E.E. Galpin accompanied him on several excursions to Cycad localities in the Eastern Cape around 1904-1906. In the latter year Pearson read his "Notes on some South African Cycads" at the 1906 annual congress of the South African Association for the Advancement of Science in Kimberley, and published them in the Transactions of the South African Philosophical Society (Vol. 16, pp. 175-182) that same year. He was assisted in these studies by Dr George Rattray* of East London. His versatility is shown by his thorough treatment of the problems presented by the root-parasite Striga lutea (Rooiblom, or Witchweed), which causes serious losses to maize farmers, and his practical directions for dealing with the disease. This work was published in the Agricultural Journal of the Union of South Africa in 1911, 1912 and 1913. Another sideline was his "Communication on the experimental use of plants for fixing moving sand", published in the Minutes of Proceedings of the South African Society of Civil Engineers in 1915. Meanwhile he wrote an account of the family Thymelaceae for the Flora of Tropical Africa (Vol. 6.1, 1910). All together he was the author of over 50 publications. From July 1905 to 1911 Pearson was honorary curator of the South African Museum Herbarium, where he had Miss S. Treleaven* and later E.P. Phillips* as assistants. During 1910 he collected in Namaqualand where he was for some time accompanied by N.S. Pillans*. He resigned as Curator in 1911 to take up an appointment as custodian of the South African College's Bolus Herbarium, of which H.M.L. Bolus* was the curator. By 1903 Pearson was a member of the South African Association for the Advancement of Science and in 1913 was still serving as a member of council. In his presidential address to Section C of the Association in 1910 he advocated the establishment of a National Botanic Garden, with associated library, laboratory, and museum of economic botany, for the study of the indigenous flora. The idea was favourably received and led to the creation of such a garden at Kirstenbosch in 1913. As no funds were available to pay a director, Pearson served as honorary director from 1 August 1913 and spent much time and energy on the development of the garden. As curator he was fortunate to obtain the services of J.W. Mathews, who had been trained at Kew. Pearson was a member of the British Association for the Advancement of Science from 1905. He joined the South African Philosophical Society in 1903 and became an early Fellow of its successor, the Royal Society of South Africa. He was a Fellow also of the Linnean Society, and was elected a Fellow of the Royal Society of London in 1916, the year of his death. In 1915 the first part of the Annals of the Bolus Herbarium were published under his editorship. He served also as editor of the Journal of the Botanical Society of South Africa, a society (founded in 1912) in which he was most active. From 1909 to 1916 he served on the council of the University of the Cape of Good Hope and on a few occasions as one of its examiners in botany. He died of pneumonia, contracted in hospital after an operation, at the age of 46. At the time of his death he had almost completed the manuscript of a book on the Gnetum. The work was edited by A.C. Seward* and published under the title Gentales as a Cambridge botanical handbook in 1929. Pearson was a charming person, full of wit, enthusiastic in his work, and with a boyish enjoyment of life, though serious in his professional pursuits. Many of the specimens he collected were sent to Kew Gardens, including an outstanding series of South African succulents, while live plants from him, including Welwitschia, were grown in the botanic garden of the University of Cambridge. His plants are also in the Bolus Herbarium and Compton Herbarium, Cape Town, and the Albany Museum, Grahamstown. Volume 140 (1914) of Curtis's Botanical Magazine was dedicated to him. The genus Pearsonia (Fam. Leguminosae) was named after him, as were species such as Aloe pearsonii (by S. Schonland*), Phylica pearsonii, Stapelia pearsonii, Leucadendron pearsonii and Ornithogalum pearsonii. His name is also commemorated in the Harold Pearson professorship in botany at the University of Cape Town, a chair filled by the director of the National Botanic Gardens. Agricultural Journal (Union of South Africa), 1911-1913, Vol. 2, 3 and 6: Articles by Pearson. Beattie, J.C. In memoriam: Dr H.H.W. Pearson. Journal of the Botanical Society of South Africa, 1917, Vol. 3, pp. 2-4. Cape of Good Hope. Report of the Government Botanist, January-June 1904, 1904/5. Cape of Good Hope. Report of the Trustees of the South African Museum (title varies), 1909-1911. [Obituary] Henry Harold Welch Pearson. South African Journal of Science, 1916, Vol. 13, pp. 352-355. [Obituary] Henry Harold Welch Pearson, FRS. Transactions of the Royal Society of South Africa, 1919, Vol. 7, pp. 139-145. 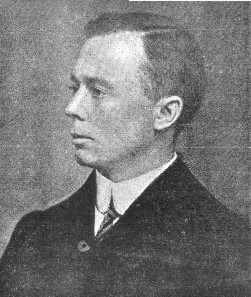 Pearson, H.H.W. Travels of a botanist in South West Africa. Geographical Journal, 1910, Vol. 35(5), pp. 481-513. Royal Society of South Africa. Transactions, 1908-1910, Vol. 1, lists of Fellows and members; 1917-1918, Vol. 6, papers by Pearson. South African Association for the Advancement of Science. Report, 1903, 1905/6, 1907, 1910, 1913. South African Philosophical Society. Transactions, 1905-1907, Vol. 15-17: lists of members and papers by Pearson. Seward, A.C. H.H.W. Pearson, FRS, Sc.D. (Cambridge). Annals of the Bolus Herbarium, 1918, Vol. 2, pp. 131-147. University of the Cape of Good Hope. Calendar, 1907/8-1917/8.